Most leaflets are zero VAT - click for more info. Either letter fold or z-fold. Full colour printing onto 135gsm gloss or matt art paper, folded on the long edge (portrait) with two staples. Ideal for workshop manuals, handbooks, catalogues, word processor documents and reports. 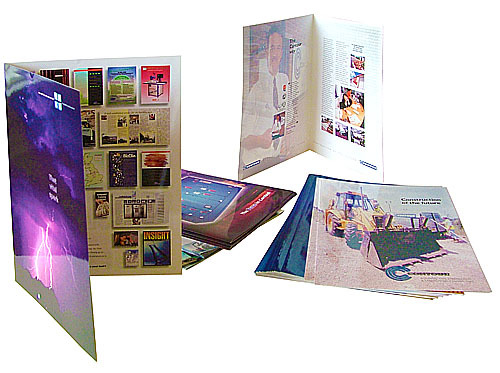 Heavy 300gsm outer covers - front & back covers printed full colour 1-side only. Inside pages printed onto 170gsm gloss or matt art paper, wire bound on the long edge (portrait). We also stock Postcard board - it's smooth coated on the front and uncoated on the back for easier writing. 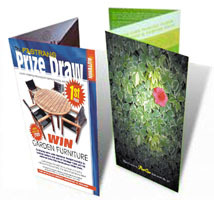 Unfolded leaflets can be blind embossed, metallic foiled, relief varnished, UV varnished or UV spot varnished as well as gloss or matt laminated. Print4biz - A4 printing price list. 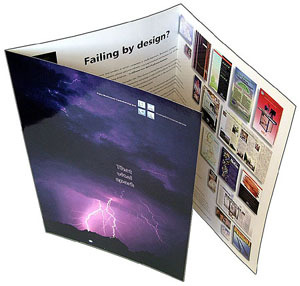 A4 newsletter printing, A4 report printing, A4 leaflet printing, A4 brochure printing and A4 poster printing. Free proofs. Free mainland delivery. Free document check. A4 printers, A4 printing, A4 posters, A4 brochures, A4 printing services, A4 booklets, A4 flyers, A4 leaflets, A4 folded, A4 quarter fold, A4 trifold, A4 bifold, 1/3rd A4 menus.